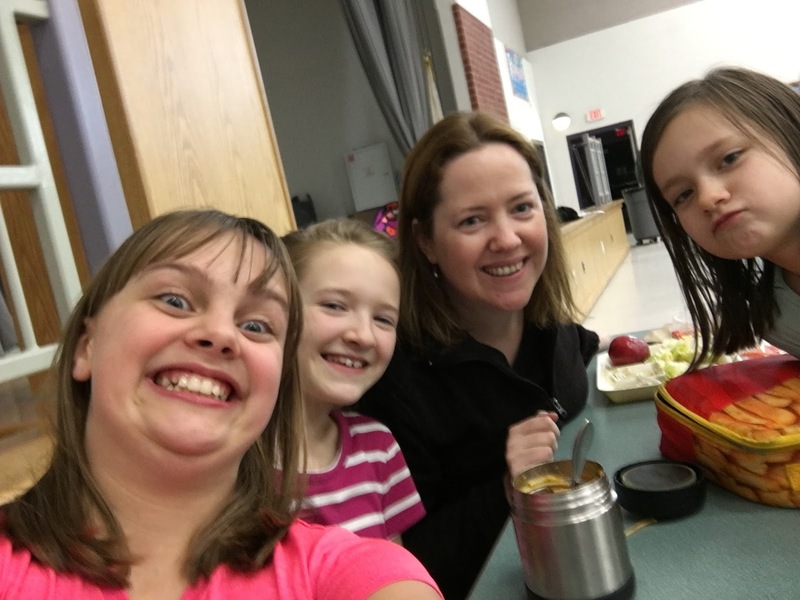 #ShadowaStudent2018 It is really FUN to be a 6th grader! 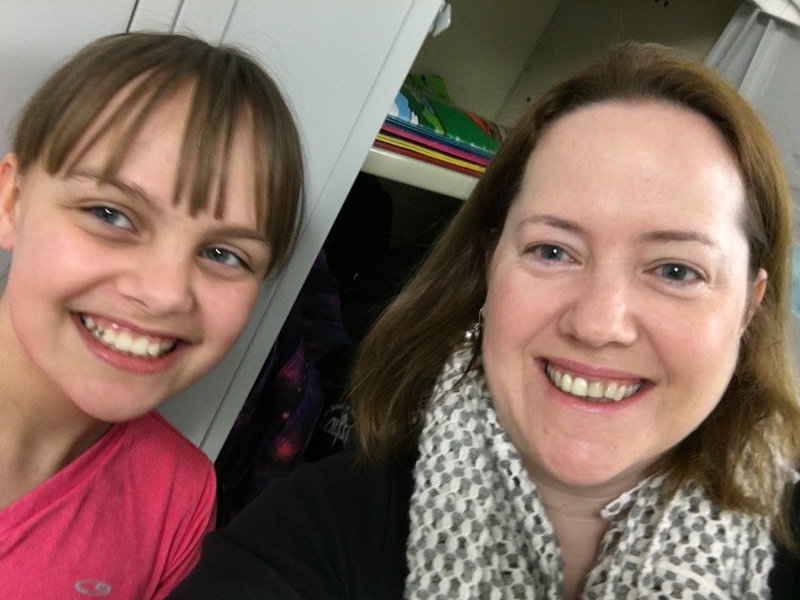 The past few years for my #shadowastudent day I have either shadowed a high school student or an elementary student, so I decided it was time for me to check out what it’s like again to be a middle school student. I met 6th grade student Jake at the arrival of the bus, a quick stop to his locker to drop off our bags and jackets and to gather our materials for classes. “Can I bring my backpack to class?” I asked. Math: Choose Your Own Adventure. In math class we had a lot of opportunities for choice and movement. When going over our homework, we were able to choose a partner to check our answers against one another. We could choose to answer the questions on our iPads, in a notebook, or on the worksheet. After the homework review, we were onto the Choice Board activity. One requirement was that everyone had to do the scavenger hunt. Around the room we had problems posted. With our partner, we would answer the question and then the answer would lead us to the next question in the room. Once we finished the scavenger hunt we were onto the other choice activities, where we had to do at least three in all. We decided to begin with the Ordering Rational Numbers on Number Lines. The three of us worked collaboratively to figure out the order for the mixed fractions. We clearly had mastered the negative vs. positive numbers, but when multiple fractions were in the mix, it started to get tricky, but still doable. I was impressed how Jake knew many of the fractions in his head and convert them to decimals and I may have taken my phone out to use the calculator on some to make sure I was putting them in the right order. Use the tools you have, right? 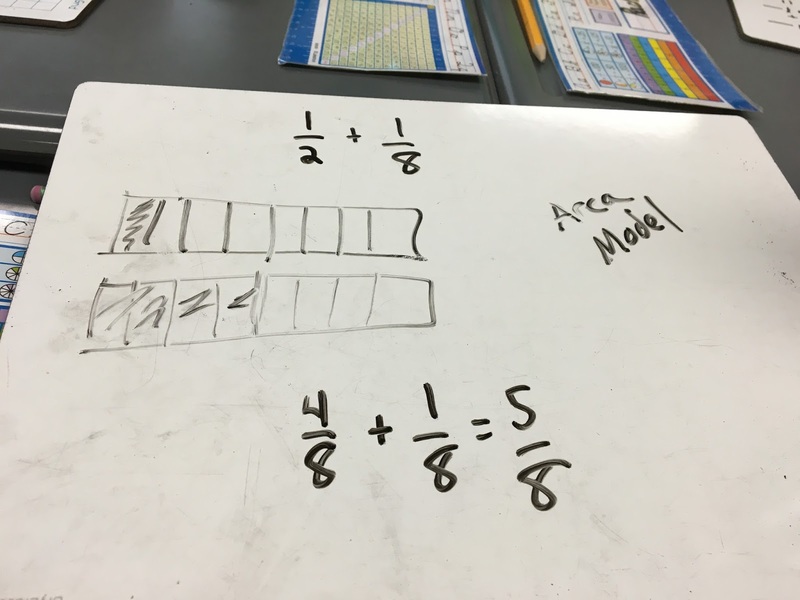 I asked Jake the question I always ask, “When do you think we will ever have to use this skill in life of putting mixed rational numbers on a number line?” We couldn’t come up with an answer right then, which is a shame, because we were really good at it! Just as we finished all 8 of them, we were off to our next class, which was our special…French! In French class, we began by sitting in whatever seats we wanted to sit in. According to one of my new 6th grade friends, it is important to get there early so you can grab the coveted seats in the back against the wall. Because we arrived early we had some time to chat. Quickly conversation turned to…. “Do you know if people who pledge allegiance to their own flags in other countries put their right hand over their heart like we do? Our teacher started class and called us by our French names and asked us to introduce ourselves using our French assigned names and greeting our teacher in French. Then we were off to our daily Quizlet Live activity where we are assigned to groups by the app and we work together to identify the proper French phrases to match with the English greetings. I apologized to each of the groups that I only knew a couple of French phrases so they will have to help me out. After three rounds, where I completely failed my teammates, (except for the phrases of Bon Jour and Merci), we went back to our coveted seats. As I watch these presentations towards the end of the class, I start to realize how hungry I was. All I can think about was lunch, which I learned was still an hour away. I started thinking of how I wish I had my bag, (which had my snacks in it,) and also started contemplating how I might sneak out to grab a snack before a faint from low blood sugar….but no time for that as we were off to Science! Once we were in science class, we were quickly put into two large groups and given the instructions that we will be playing a modified form of Pictionary to review our understandings of various types of volcanoes. We were instructed to pick four people who will be the ones who draw and I have to admit, at first it was a bit of mayhem as each group of students had to decide on the 4 as almost all wanted to participate. Then, quickly they started to put some strategies in place, which was really interesting to observe. I saw a few leaders jump up and try to take charge of the group, then I heard one of the boys say “we need to make it even, 2 girls/2 boys,” then someone declared “let’s do it by birthdays, that’s fair!” and finally a battle came down to two who did rock/paper/scissors for the final choice. It was impressive to see the students come to a resolution through various methods of decision-making. What did I learn about volcanoes? I learned about magma chambers, side vents, the pipe, and crater as part of the anatomy of a volcano. Also, fun fact: Did you know that Pahoehoe eruptions can have two kind of lava: Pahoehoe rock forms from hot, fast, thin and runny lava. When it cools it becomes smooth rock that looks like rope-like coils. Aa rock forms from thicker, cooler, slower-moving lava. When it cools it becomes rock with a rough, jagged surface. I have to admit, I was kind of excited for lunch time after learning about volcanoes, and I was about 90 min past my typical mid-morning snack. While in line, I asked the girls behind me what they recommend and what the big-seller was and they said definitely the chicken nuggets. Then when I was paying, there was a wide array of unhealthy snacks (my favorite) and I asked what the most popular one sold was and was informed that it was rice krispies treat so I went for that. I saw the students crowded around the condiment table and observed that it is normal to put as much ketchup as you possibly can into the unused portion of my tray. I also observed that we eat everything on our plate, except for the vegetable. Surprisingly, despite taking photos and talking to my new friends at the table, we did have plenty of time to eat our lunch. 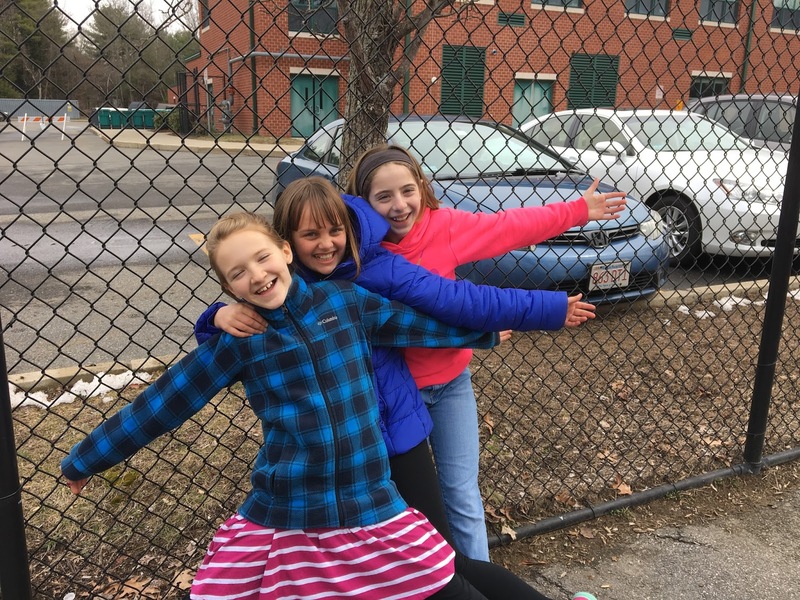 We had to clean up our table before we were dismissed to recess, which was about 5 minutes outside in the parking lot in the cold, without a jacket (because apparently 6th grade boys don’t wear jackets out to recess). 1. What surprised me? How did the author do this? 2. What did the author think I already knew? How did this impact my understanding? 3. What challenged, changed, or confirmed what I knew? How did the author accomplish the purpose? In this process I learned about how an olympic snowboarder lost his jacket in the morning of a competition; how math can help with March Madness brackets; how marine animals, turtles, and whales have the same moves, and how California is aiming to protect it’s animals through legislation. 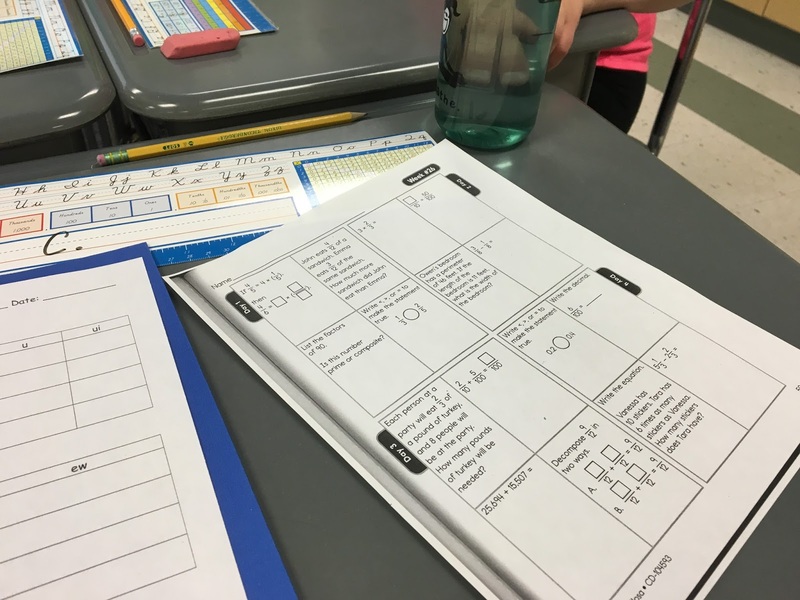 What was very apparent through this activity was that the students loved being able to read and learn about content that interested them through the NEWSELA article access. The boy who chose the snowboarder article is an avid snowboarder himself and does competitions throughout the weekend. The boy who chose to learn about math in March Madness is really interested in basketball and was surprised to learn how much math can be incorporated into the process. Another observation was how well the students carried on discussions about the articles to share their learning with one another. They asked great questions and were extremely respectful of one another, even when matched with different students who weren’t their close friends. In our last class of the day, it was time to present about Ancient Egypt. Each student had come in prepared with a topic about Ancient Egypt. All of the audience participants were provided a presentation rubric, as well as an audience participation sheet to take notes on. I learned about Egyptian Fashion, the structure and function of pyramids and then Egyptian cuisine. 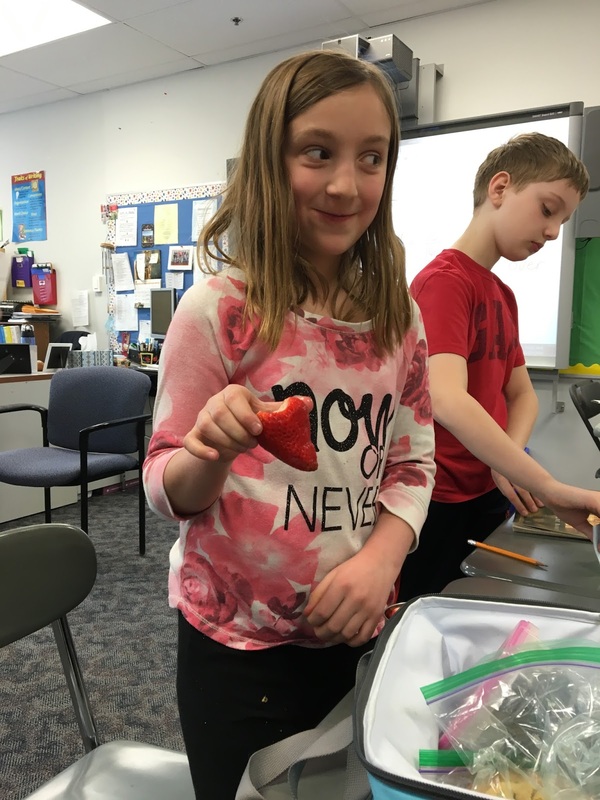 After each of the presentations, the audience members provided three pieces of positive feedback and with the cuisine presentation we even got to try some snacks! The end of the day we were dismissed to an all-school assembly in recognition of Wellness Week. We were dismissed by grade levels, which put the 6th grade in the front row on the floor in the gym, where we had a great view of the amazing jump rope team representatives from MURSD High Altitude. They got the crowd clapping and cheering and we all were amazed by their skills. It certainly was an amazing end to the day and the week. What were my big take-aways? The day of a 6th grader is busy, yet not hectic. We had enough time for transitions, lunch, and enough mixture of being “on” with having time to talk to our friends. 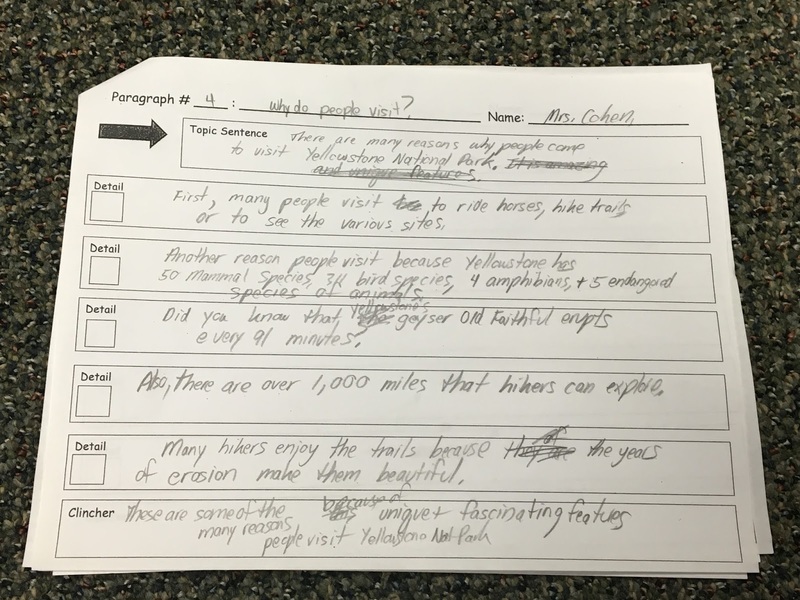 My favorite time was when students had the opportunity to talk about their interests, either in ELA with their choice articles or in conversations with their peers about their passions. Our students are extremely respectful of diverse opinions and students with different learning styles. I saw elements of inclusion and respect in all classes. Finally, it is really fun to be a 6th grader. 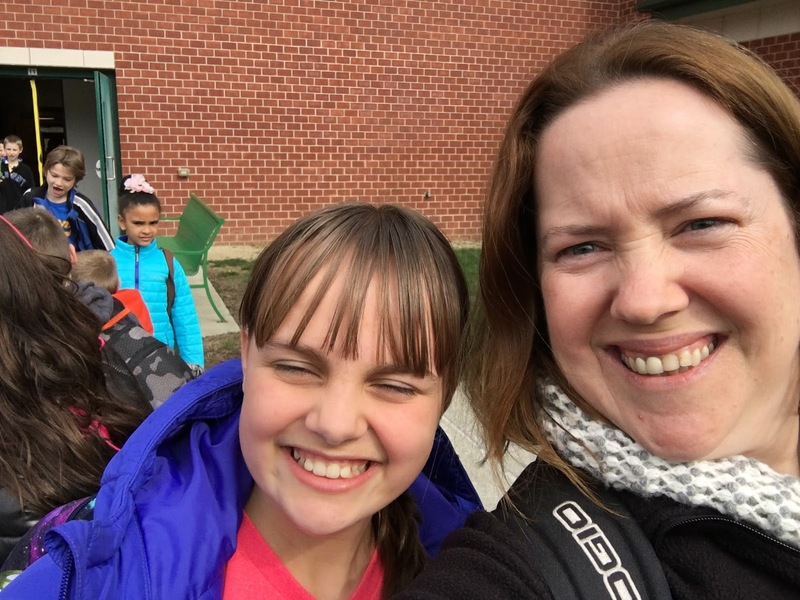 My student happily escorted me into the fourth-grade class and showed me where to put my snack bag, pick up my morning work, turn in my homework, and the outline for the day on the board. My neighbor informed me that I had finish all of the morning work of the week Monday-Wednesday that I hadn’t completed yet. Immediately my palms start sweating as I grasp the pencil and get to work on 4th-grade math. Question 1 and 2….got it. 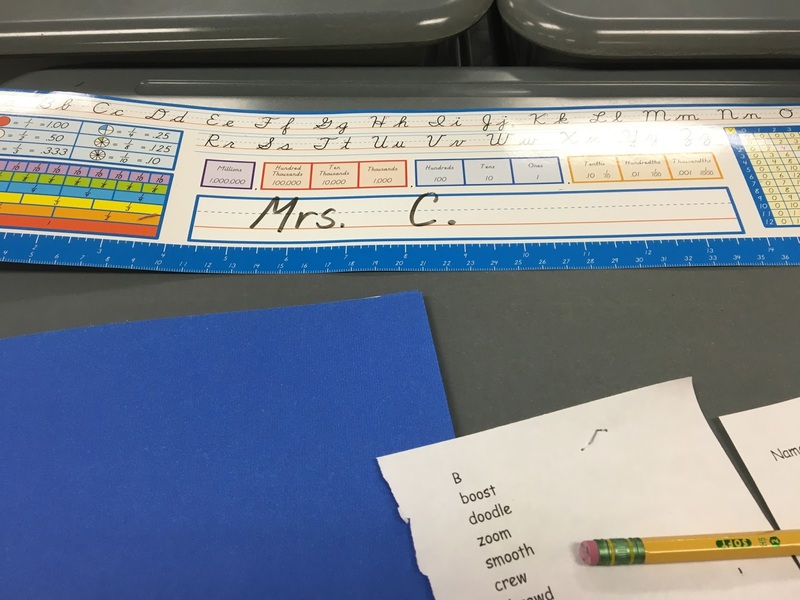 I was amazed at how quickly I turned into the 4th-grade student of yesteryear…. “What if I get it wrong? What if I run out of time? Everyone is working on their spelling sort. I’ll have to catch-up quickly.” I’m already anxious and it is only about 9:05am. Question 3? I already have a question….on subtracting fractions. I finally finish the problems and move onto spelling sorts. Time to get ready for social studies. Okay…that was my major in college and what I used to teach. I’m excited for this subject! I was lucky to be matched up with two great partners who had already done a ton of research on our national landmarks report. Our topic was Yellowstone National Park and it was time for us to write about why so many people come to visit this area of the country. We got right to work on our topic sentence, key details, and a clincher. Not much help was needed from me as my partners had mastered the topic sentence, transition words, and clincher. I was amazed at how collaboratively they worked together, sharing ideas, and asking for input from one another in respectful way. “This is so fun!” exclaimed one of the students during a review game in social studies. 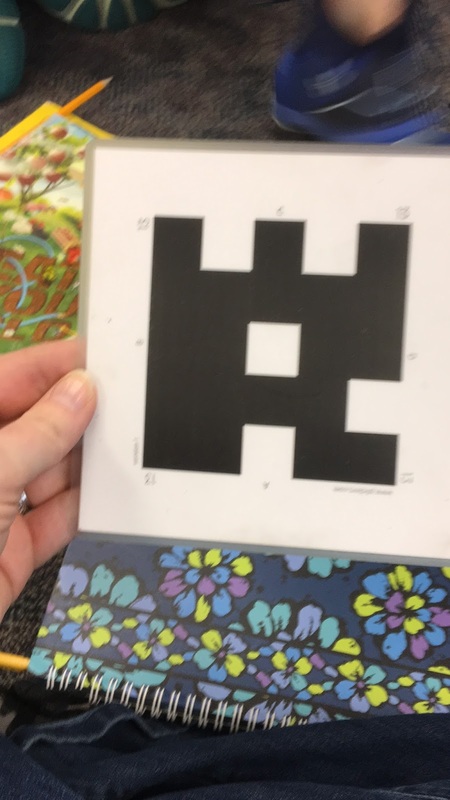 We moved together as a group for a fun review game using the Plickers tool to check our understanding of the key details in the unit with our teacher getting instant feedback through a mobile app. Because the teacher decided to take a risk with technology, all of us (including me) were on the edge of our seats to try and get the next answer correct during the creative use of technology. 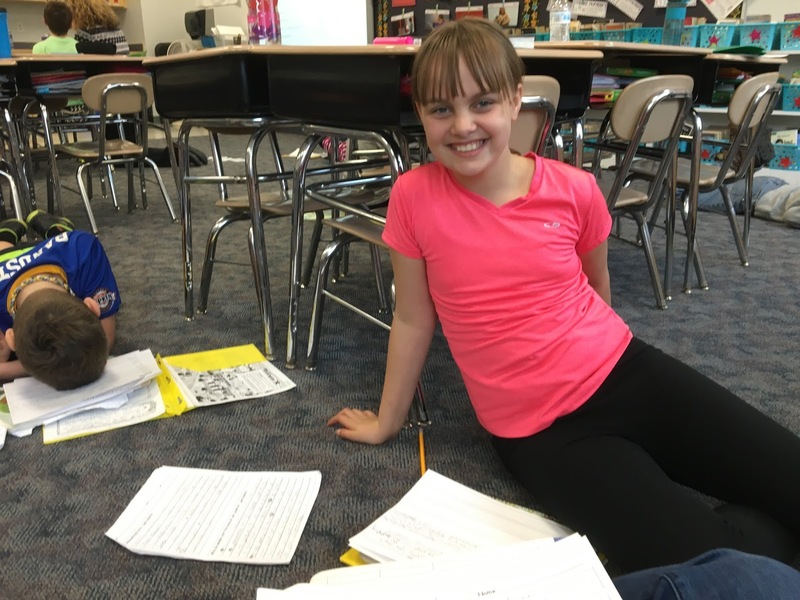 Creative opportunities didn’t end in social studies and they flourished in our library special where we got to work in groups on creating a fairy tale based on the story of the Three Little Pigs. This activity probably was the most fun of the day (next to recess). One of the girls in my group explained it the best. “This is awesome because we get to use our imagination!” Our story title? The Three Ice Cream Cones and the Big Bad Unicorn. What was the setting? Do you even have to ask? Of course, it is set in the Ice Cream Forest where we had a house made of sprinkles, a house made of cookies, and a S’more castle (their idea) surrounded by a caramel moat (my idea) and protected by gummy bears. I also learned that apparently it is a well-known fact that 4th graders think unicorns rock and should be in stories as often as possible, along with rainbows and sprinkles. 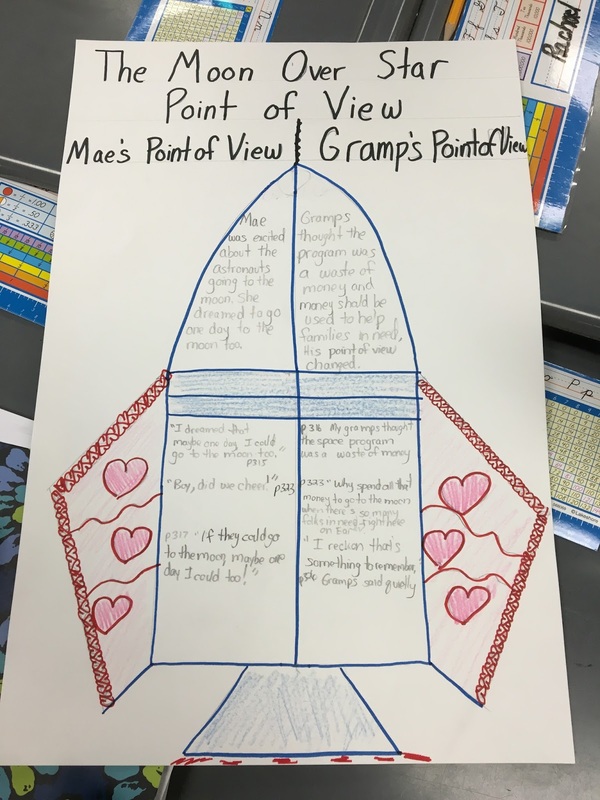 Our final opportunity for creativity took place in during ELA where we learned how to draw a rocket and then compare the point of views of two characters in a story we read. The best part… (after we added in all of our evidence from the text)….we got to decorate our rocket! This is where I reverted back to my simple skill of making a heart pattern that I learned in 3rd grade (old habits die hard)….which was apparently a big hit with my 4th-grade friends. “How did you DO that?” they asked. “I’m making stars!” they shared. “I’m making flowers, colorful ones!” they added. What was the best part of my day? You guessed it…it was an opportunity to connect with our students. In this position, while I have access to be around students across the district, but I do miss the close connections I used to have both as a teacher, coach, and a building leader. What did I learn about my new friends in the short time of a day? I learned that Ashleigh brings the best snacks ever, knows how to do a math tape diagram much better than I do, and wishes she could have more creative projects because she loves to draw. I learned that Andrew is an excellent gymnast, is extremely curious, and is willing to tie the shoes of a friend in class who needed extra help.